Camp is a great equalizer. It’s a place that values camaraderie over hierarchy, the pursuit of dreams over to-do lists, and working as a team over survival of the fittest. The same can be said about team-based volunteer initiatives. It provides an opportunity for colleagues to come together in an environment that is centered on supporting others, through the efforts of working as a team. If you’d like to collaborate with Amici to make a difference to young people in financial need, while inspiring and connecting your colleagues, check out some ideas below. Or, reach out to Robyn to start a conversation. 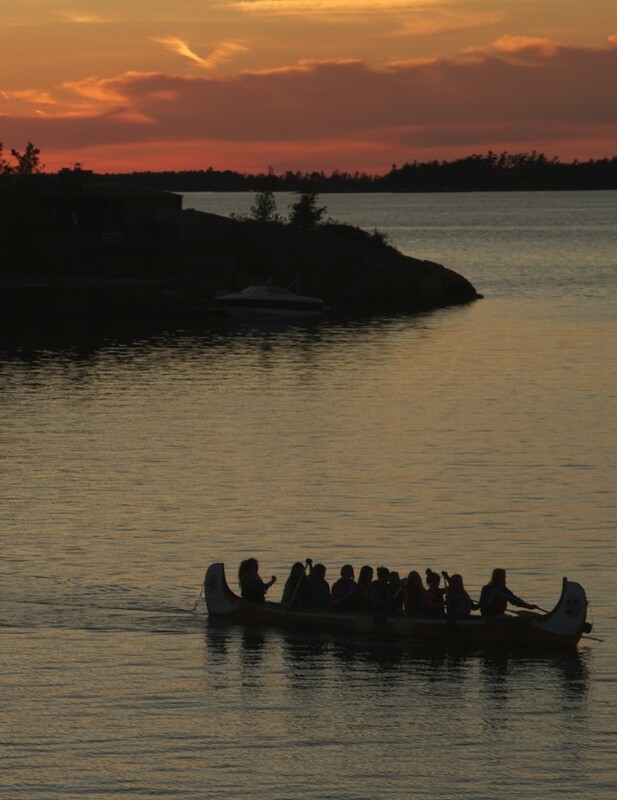 Amici offers opportunities to engage employees through volunteering at our flagship fundraising event, Canoe Heads for Kids. This 15km portage and paddle fundraiser needs support to craft participant materials, setup the event space, stuff bags and generally be part of volunteer force of an amazing day. Amici is always looking for support from people who have unique expertise that could play a part in helping young people thrive. Perhaps your team has the talent to support us with a communications project, or help us develop a new video for our YouTube page – we would love to work with you on meaningful projects that have a huge impact on what we do. If your company hosts annual events or celebrations for employees and stakeholders, consider adding Amici as a charitable recipient! By adding a charitable element to your annual corporate golf tournament, holiday party or employee appreciation event, everyone gets to feel like they’re part of making a difference. Ever thought of rallying your employees through bonding activities that benefit a cause? 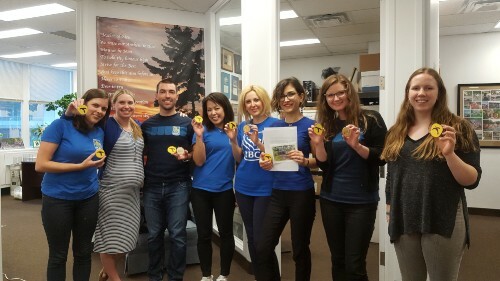 Dress down days, where a dollar is donated for every teammate wearing plaid is an idea (a very camp-friendly idea), but there are many more, we’d love to collaborate on something that would motivate and inspire your colleagues. A great opportunity to motivate your employees in the community, consider offering a corporate match or top-up for employees who choose to give back to their community by way of volunteering or fundraising.